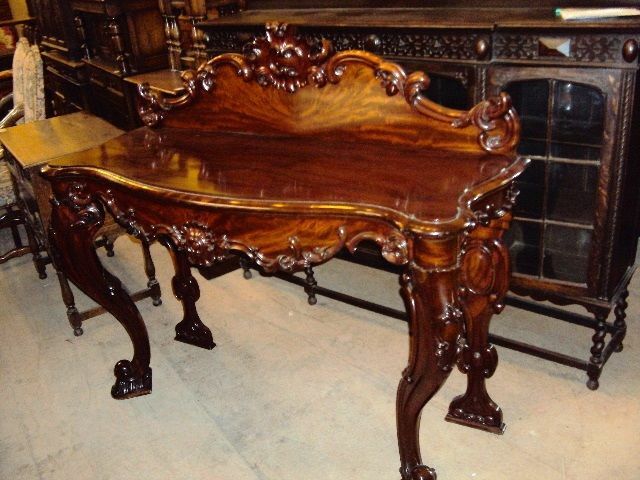 A Stunning Mid C19th Antique Mahogany Console Table. This is high end Victorian furniture and does not get much better. 155cm wide x 56cm deep x 132cm high.